The tyres are probably the most important part of your car - they connect the car to the ground. The car won’t move if they are flat. The car is more prone to accidents if the tyres are in bad shape. The car’s ability to accelerate, manuevre and stop is seriously dependent on the conditions of the tyres. 1. A tyre’s performance deteriorates as it ages. 2. Infrequent use or poor storage can accelerate the age-ing process. As such, the longer a tyre stays unused, the more it deteriorates. 3. Even if a tyre is brand new, if it has been sitting unused for a long time, deterioration has set in and ideally should not be purchased or used. 4. To find out the date of manufacture of your tyre, look for the code in the format “DOT DA08 JM1R 1514” on it. The last four digits are what you need. In this case “1514”, which refers to week 15 of the year 2014. That is when your tyre was manufactured. 5. Do not leave your spare tyre unused. Rotate usage of all your tyres such that everyone of them serves as spare from time to time. 6. Car tyres also come in different sizes. Your tyre size is written on it in the format “225/45 17R 91Y”. 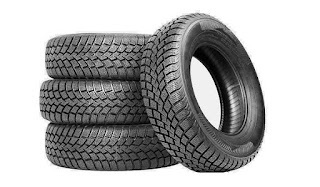 Make sure that you buy tyres in sizes recommended by the car manufacturer. 7. Each tyre also has a maximum speed rating as well. The “Y” in the tyre size code above is actually the maximum speed rating of the tyre. The code ranges from A to Z. Y here means a maximum speed of 299 km per hour. Do not race your car above the tyres’ speed ratings as you will be putting yourself and others in danger. 8. Before getting into the car and moving each time, have a quick look at your tyres, so you can spot early signs of any issues. Do you have any other tyre tips? Feel free to add to this list.